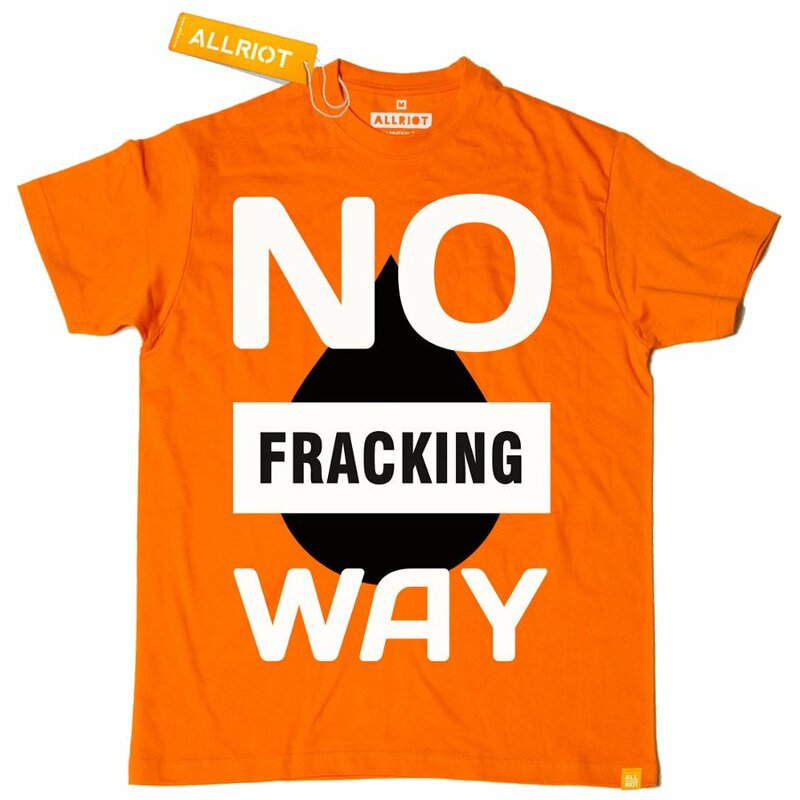 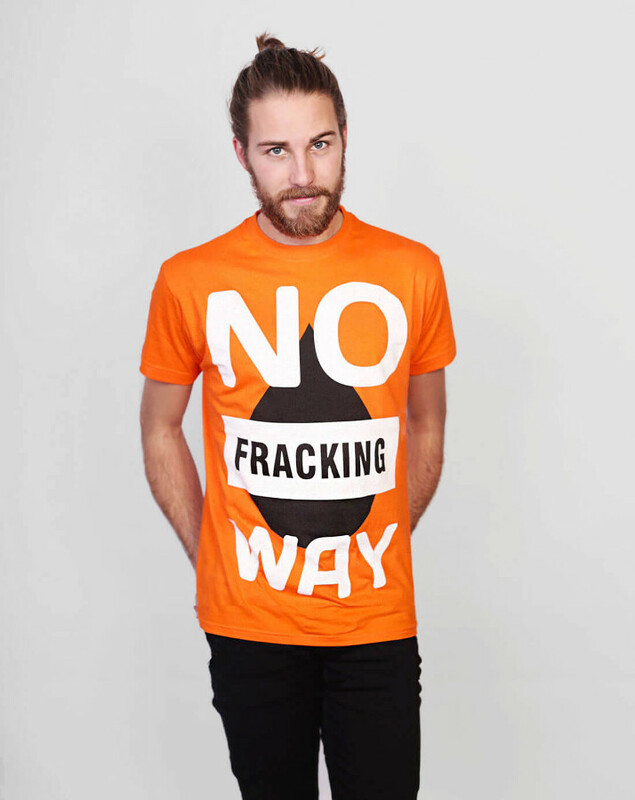 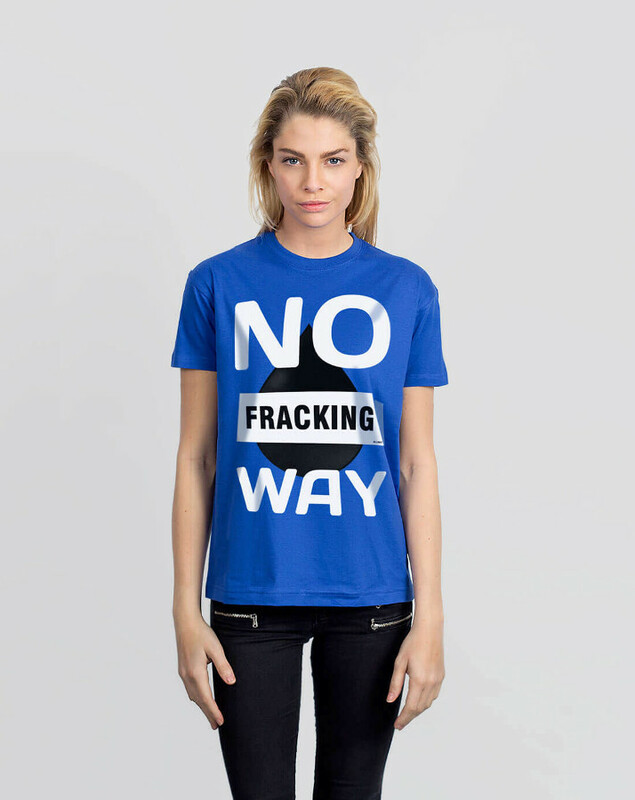 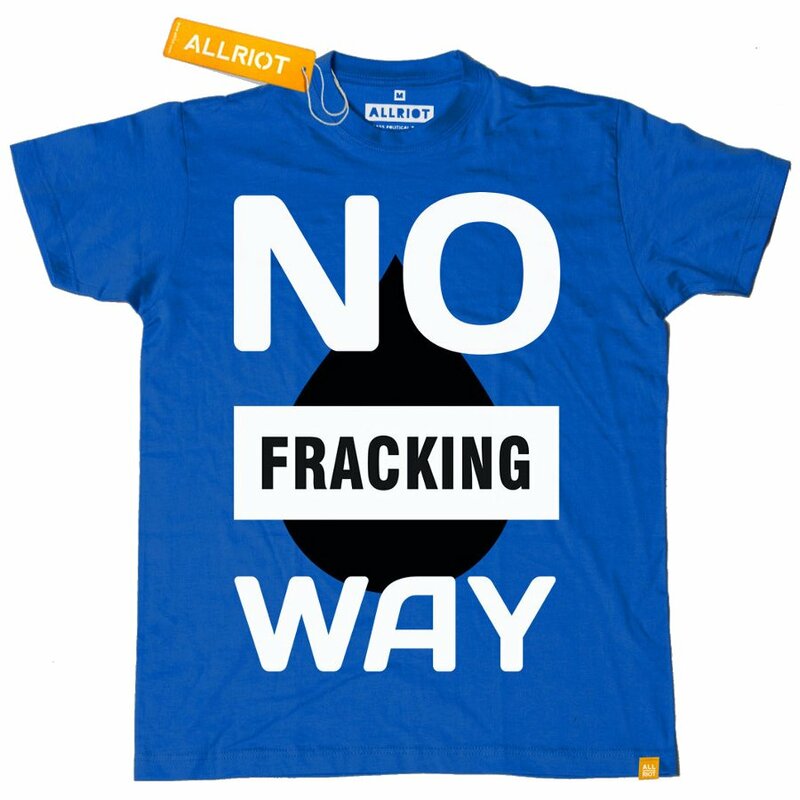 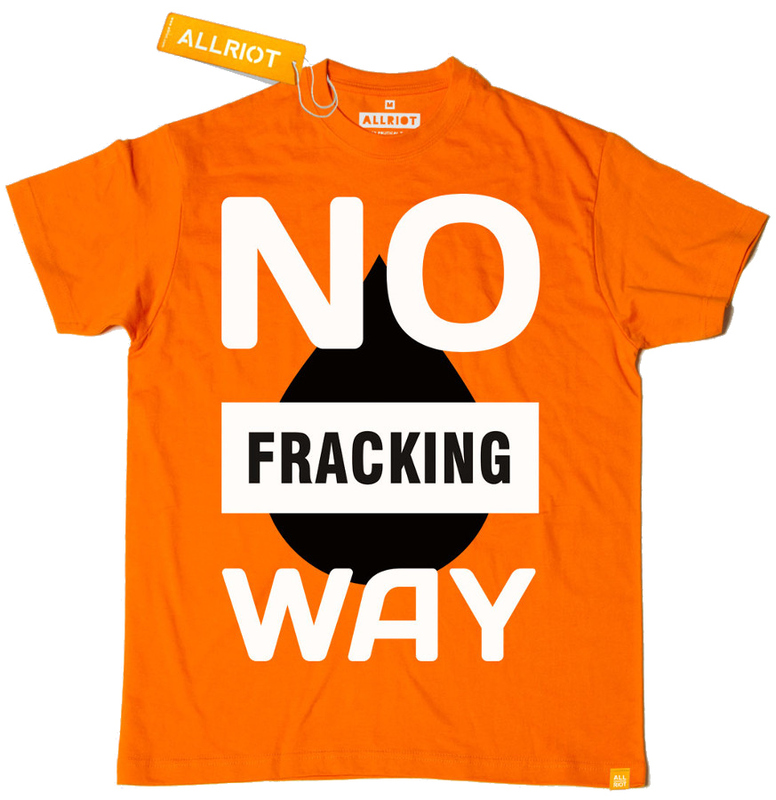 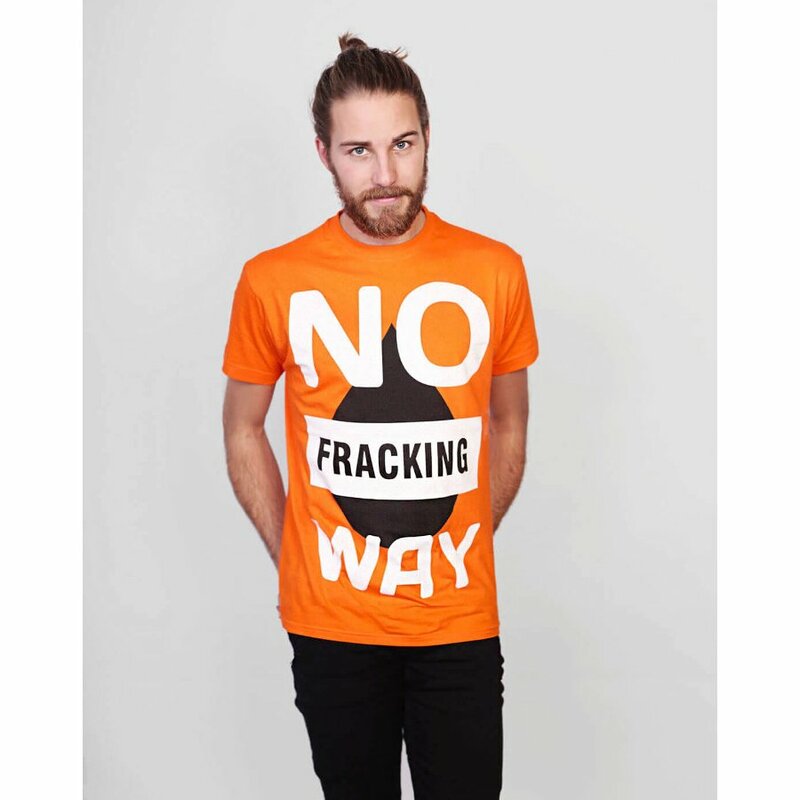 Take a stand against the Governments fracking policies with this tongue in cheek ‘No Fracking Way’ organic cotton T-shirt from All Riot. 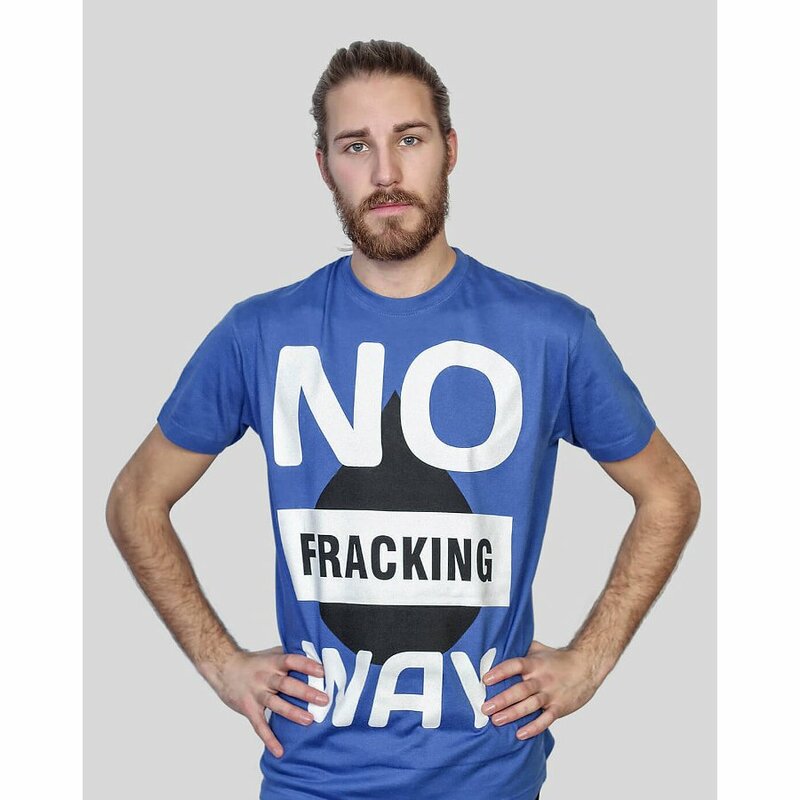 Hydraulic fracturing is a process of recovering gas and oil from shale rock in the ground at a huge cost to the environment. 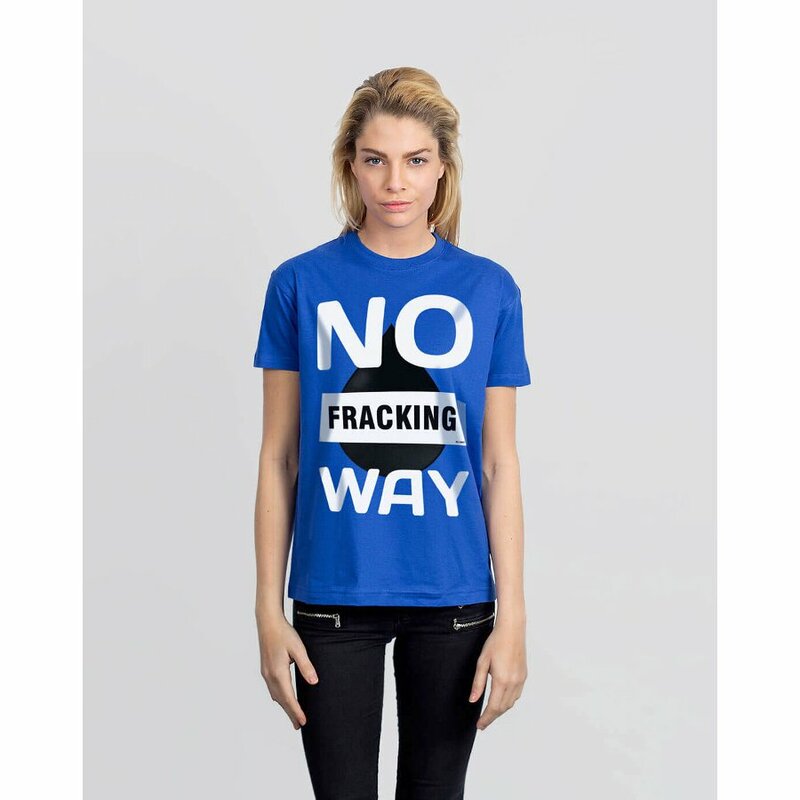 Not only does it take 1 to 8 million gallons of water to complete each fracturing job, there are up to 600 chemicals used in fracking fluid and these can contaminate nearby water supplies. 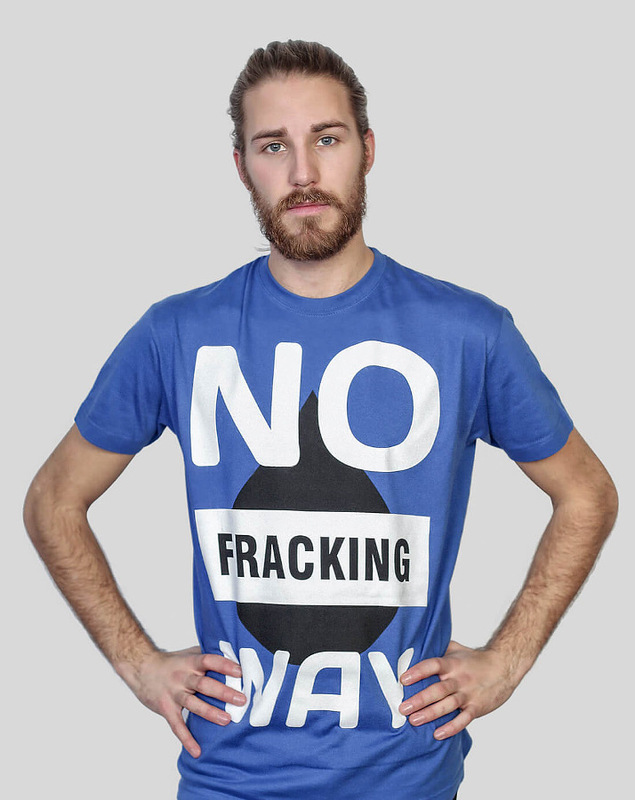 Raise awareness of this issue with this Fair Trade t-shirt, and use it to talk about the benefits of renewable energy, and why we should be developing it over using short term, harmful processes.